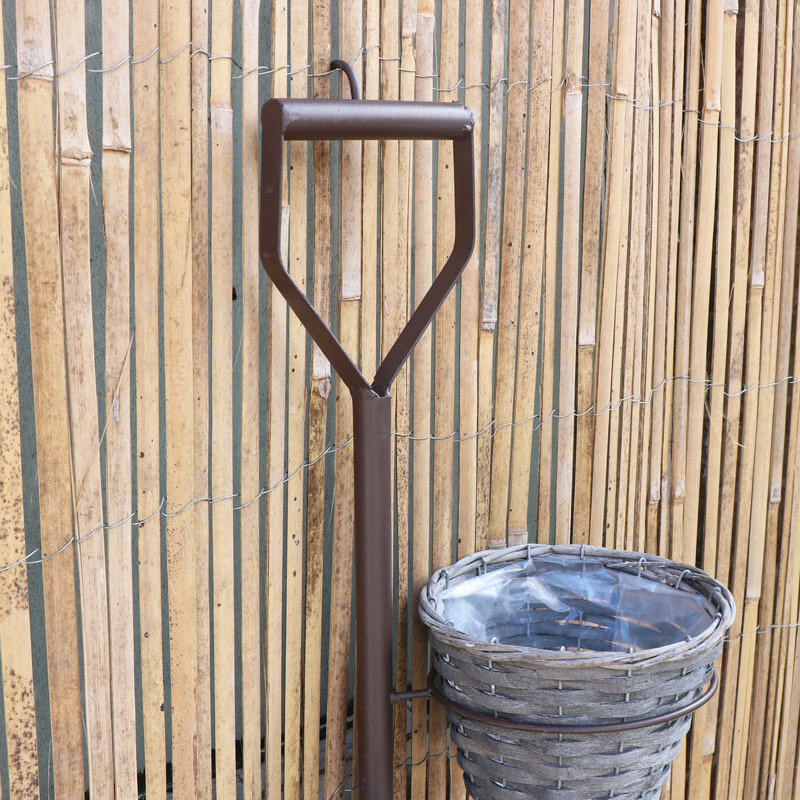 Rustic garden spade metal plant stand with grey wicker basket plant pots. Decorative outdoor decor for flower and plant arrangements and bouquets. 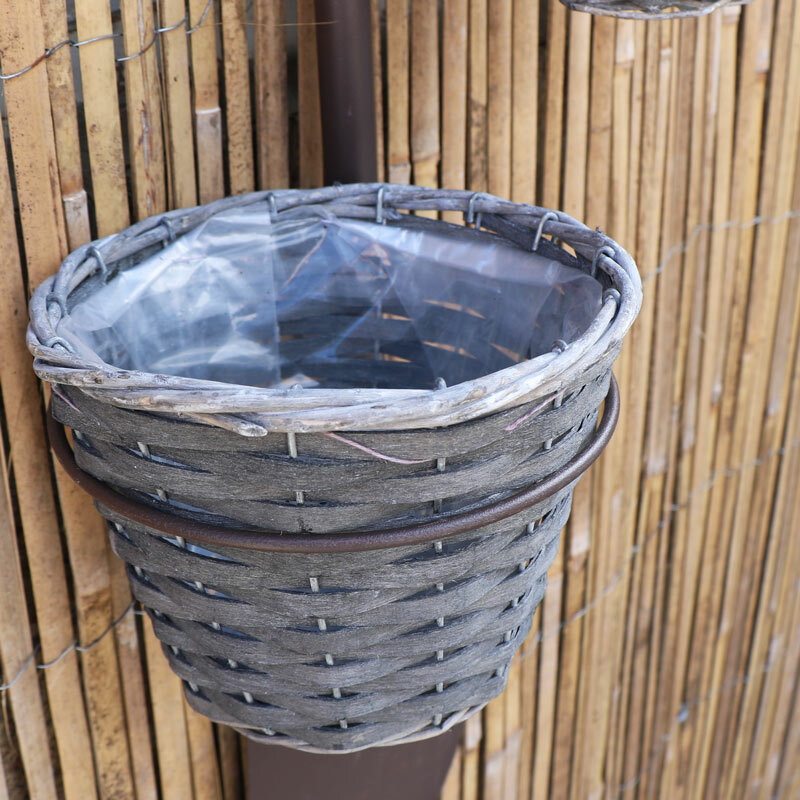 Designed in the shape of a garden spade, complete with 2 rustic grey wicker basket plant pots. Decorate your garden and make it pretty for summer. Create a relaxed place for quiet contemplation this summer and brighten up your garden with this delightful planter. A great gift idea for the keen gardener. 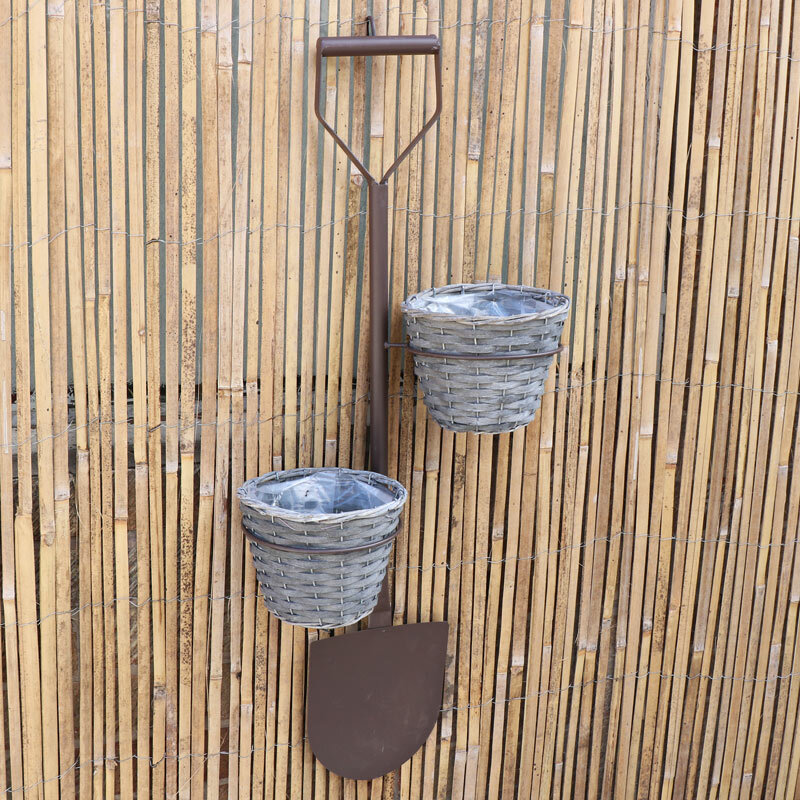 Rustic garden spade metal plant stand with grey wicker basket plant pots. Decorative outdoor decor for flower and plant arrangements and bouquets. 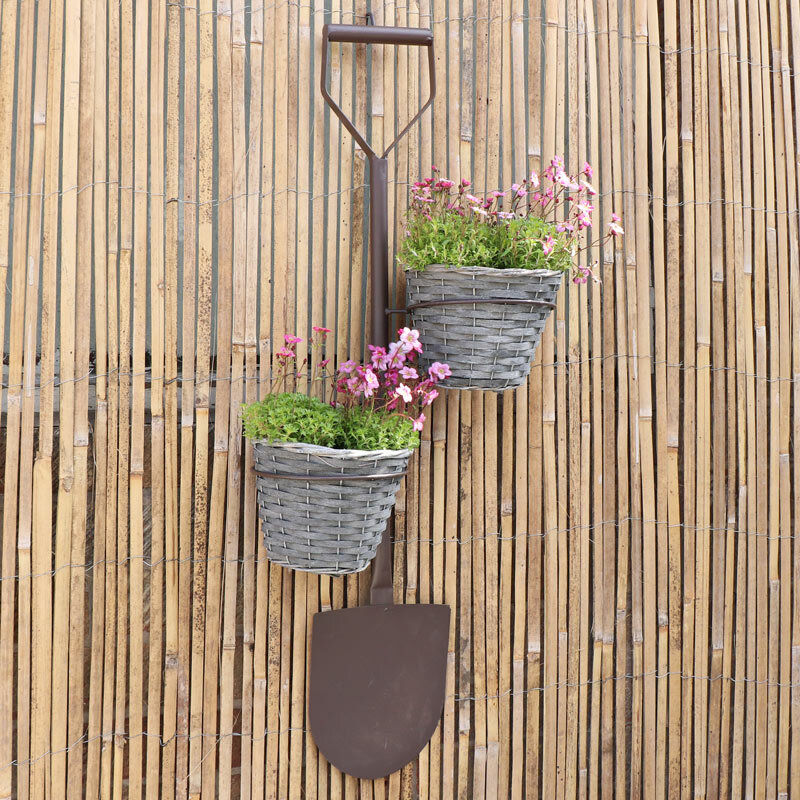 Designed in the shape of a garden spade, complete with 2 rustic grey wicker basket plant pots. Decorate your garden and make it pretty for summer. Create a relaxed place for quiet contemplation this summer and brighten up your garden with this delightful planter. A great gift idea for the keen gardener.